With a group of 17 and a dog, we were ready for another challenge. 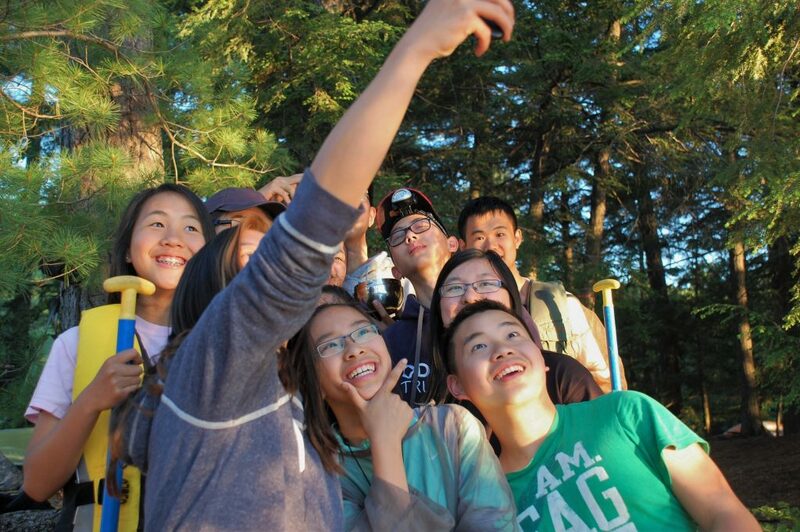 The previous year, we went to Algonquin Park and created some of the best and most unforgettable memories. 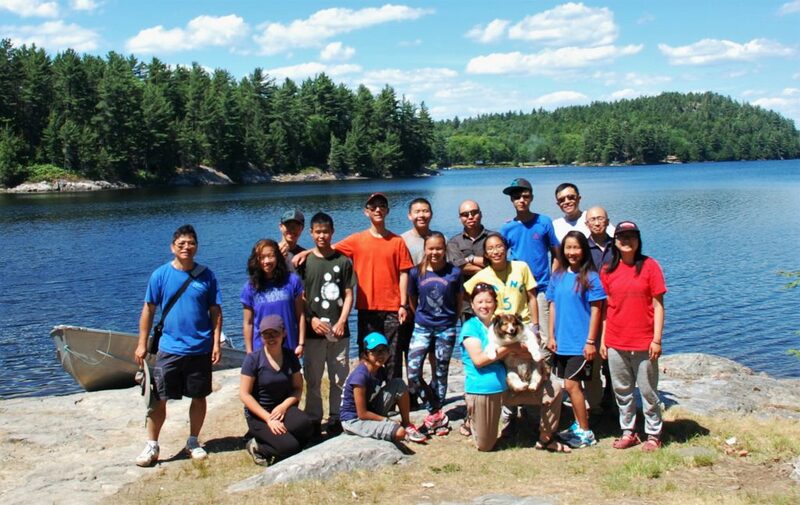 This time, we would go to the great Killarney Provincial Park, a wilderness paradise. Prior to the trip, we repaired our equipment, received first aid training and planned our adventure. We started our trip from home bright and early on Canada Day. Four hours later, we arrived at our put-in point and it started to rain. It was heavy rain! We loaded our four days’ worth of gear into the canoes. Kitted in our rain gear, we said farewell to the dock. It was a real shame that the sun was not out to join us. As the rain continued, we paddled hard in our canoes on Bell Lake. As the water was choppy, we got lost near Three Mile Lake as we were searching for the portage site. We accidentally entered a swamp similar to one at Algonquin Park. Feeling lost, we surveyed the perimeter and decided to retrace our steps. We left the swamp and continued going forward. In our line of sight, we saw our first portage. We reached our first, yet shortest portage. It was 40 meters. There was a mechanism that was supposed to pull our canoes; however, it wasn’t functioning, so we had to move the canoes ourselves over the 40 metres. We transported all the canoes and gear to the other lake. At that point, some of our team experienced early signs of hypothermia; they had cold, wet clothing, and weren’t dressed in layers. We set up a tarp over them as they added some layers. All cold, we ate our lunch and headed to find a campsite. Luckily, we were able to find a good one. Our site was somewhat flat, with tonnes of fallen pine needles covering the ground. 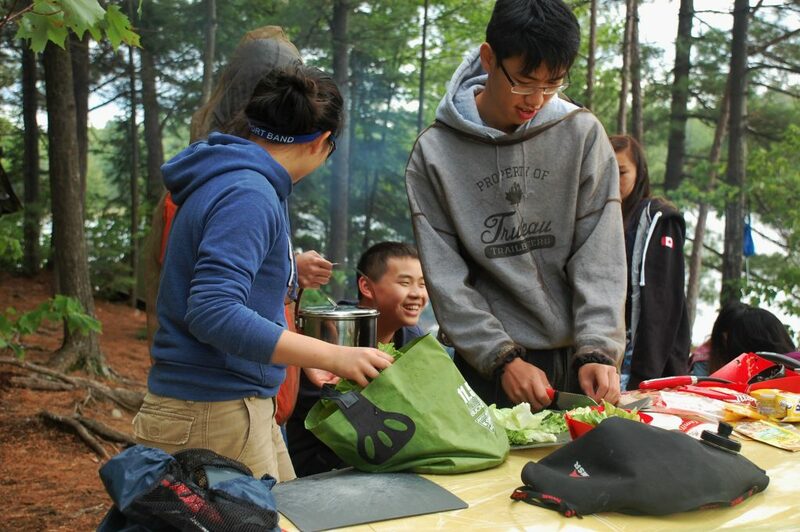 Thereon, we divided into our team’s assigned tasks: filtering water, building a fire, setting up tents and cooking supper. After we ate, we had an informal campfire and prepared for bed. The last thing we had to do was to move our food away from our campsite in case it attracted any bears. We hung our sealed food bags and barrel from the trees with a bear bell. When we were throwing the rope up onto the branches, however, it kept missing so we kept trying. At one point, we got our throwing bag stuck up there, so one of our Scouters had to go monkey climb, with safety in mind to retrieve the bag. After he did a mission impossible stunt, he was successful. We finally finished setting up the bear bags and we went to sleep. David Lake is one of the most popular lakes in Killarney. 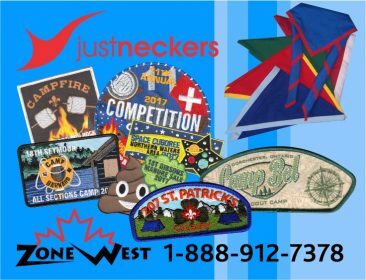 It has many campsites, but they are spread out. We wanted the campsite closest to Silver Peak Trail. We paddled for an hour on Balsam Lake, then reached the portage. This portage was both uphill and downhill, with roots sticking out of the ground and huge rocks throughout the trail. We completed this long portage in under one and a half hours, then started searching for the campsites on the huge David Lake. Paddling towards the end of David Lake, we started to realize that the campsites were full. We then looked for other campsites around the lake. Fortunately, we were able to find a campsite that had a relatively flat terrain. There were also not that many trees, and it was near the shoreline. On the shoreline, there were a lot of rocks. Once we arrived on shore, we quickly set up our tents and finally made lunch. The third day by far was the most relaxing and liberating. It did not go as we originally planned, for we intended to hike to Silver Peak that day. The vote against the hike was unanimous. On this day, we remained at our campsite. We started the day with sailing (rafting up our canoes and using a tarp as a sail), paddling and swimming. At noon, we made and then ate our lunch. After that, we had a fire challenge, One Spark to Rule Them All. We broke up into four teams. Each team would be allowed to use natural materials and would only be allowed to use sparks to light their fires. The completion times varied from the fastest being 18 minutes and 20 seconds and the slowest being 45 minutes. Once we concluded the fire lighting, we made dinner and tried to get rid of all our snacks to make the food bags lighter on our return trip. After a long day of fun, we slept earlier. The last day was by far the best, yet it was the most challenging! It was time to go back home. We paddled for an hour on David Lake and had trouble finding the portage. We finally found the portage sign—it was the size of a hand. After completing the portage, we continued paddling for another hour before one last portage. In our final portage, we gave everyone a chance to try carrying a canoe, even if it was only for a couple of metres. The portage trail varied in terrain that included, a small swamp, long empty forest, and a rocky shoreline. We had to especially watch out at the swamp. The boardwalk on top of the swamp was partly broken and dangerous. We left the portage only to find that we lost the maps. A couple of us went back and searched the area for the lost maps. After twenty minutes, we were able to continue our journey back home. Since this was our last stretch to paddle, we had a race to the pull-out point for ice cream! To end a great adventure, we stopped for some lunch and ice cream. We all enjoyed our ice cream. Ultimately, we were all winners on this trip!